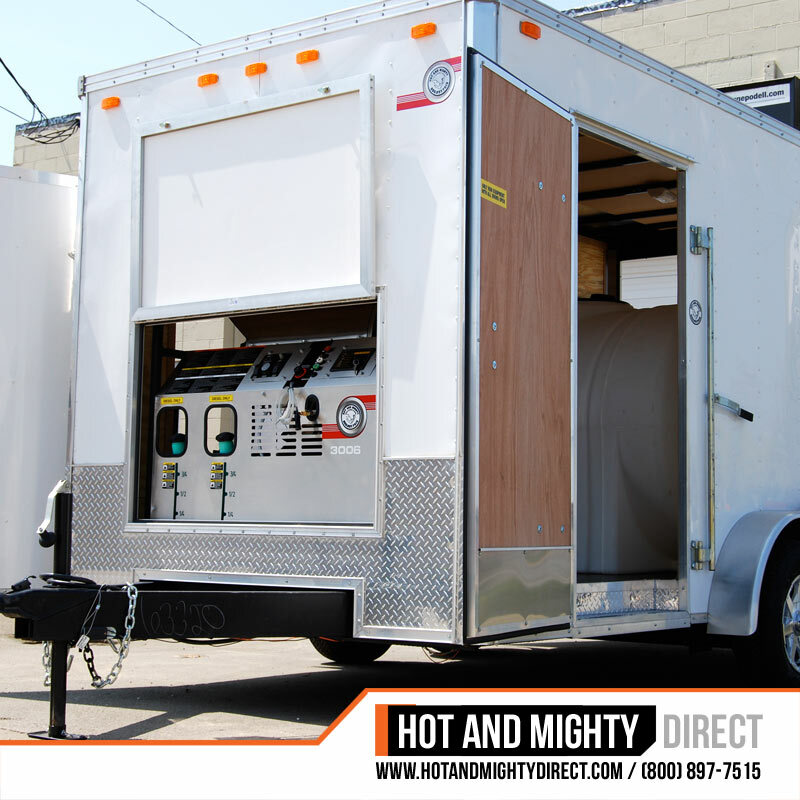 All of our trailer units are built to your specific requirements. 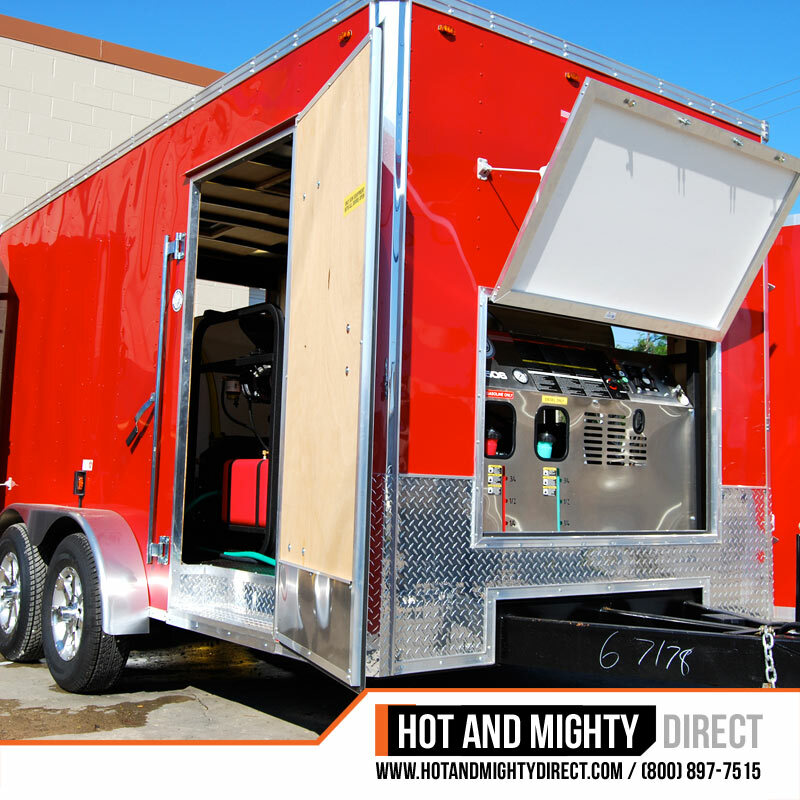 At Hot And Mighty we purchase our custom trailers directly from a trusted manufacturer at dealer prices. We then pass these savings on to you. What this means is what we pay, you pay, no markups or adders saving you thousands of dollars under retail pricing. We have chosen to pass these savings directly to our customers in an effort to provide the best mobile cleaning solutions at the best possible prices. Note: Dual operation capable pressure washers split the water flow between two operators. User(s) can wash in single or dual operator mode on the fly. 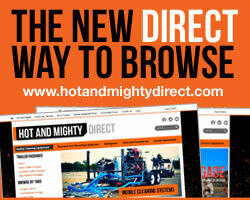 The pressure washer must be installed with dual operator capabilities for dual operator use. Please request in quote. 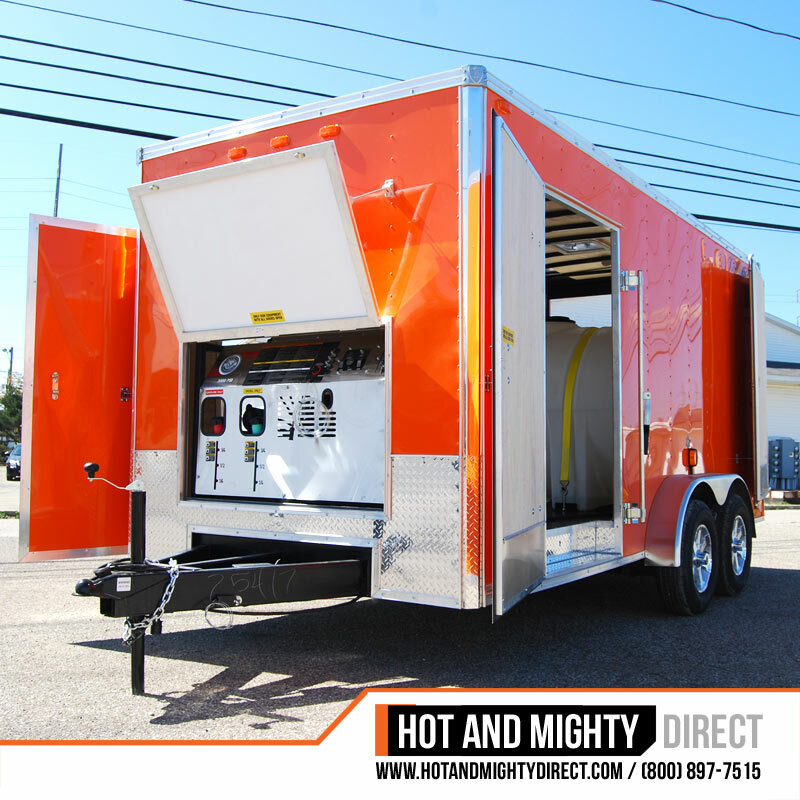 Example: MCS-3506-1H6G will operate at 3500 PSI with 6 GPM for one operator or approximately 3500 PSI at 3 GPM for two operators. 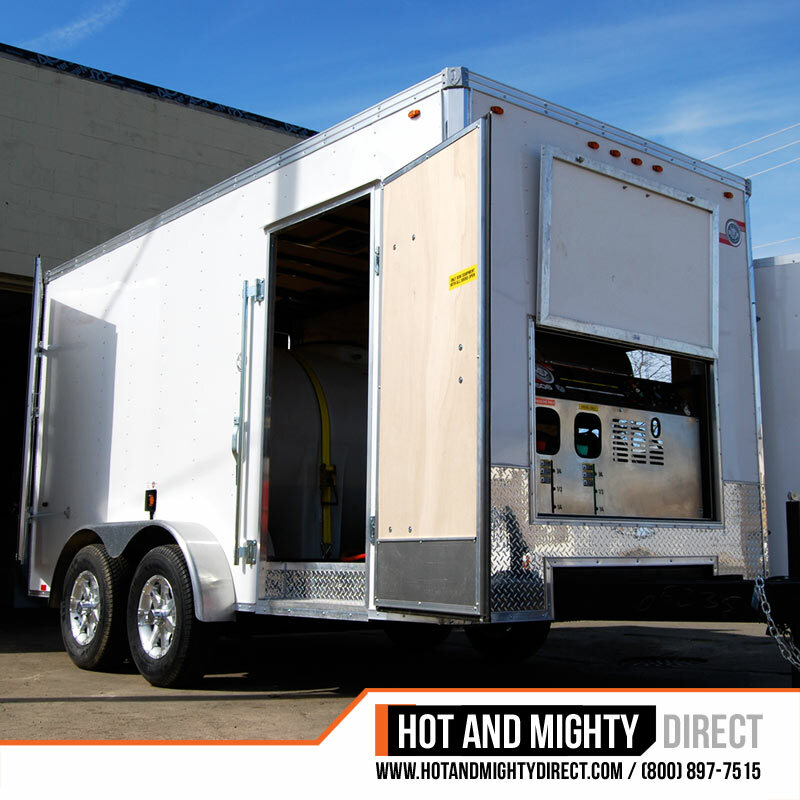 See Trailer Specifications for full specs and trailer options. ** Axles can be upgraded to meet load capacity. Call for options and availability. 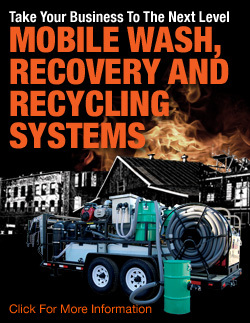 * Water storage tanks are available from 65 Gallons to 900+ Gallons. Product and options are subject to change. Please inquire for price and availability.